Sometimes I just want to be in baggy, no fuss clothes. What better way than to borrow from the men? I love this androgynous look. Very Katherine Hepburn. I love it! I like to rock my husbands bow tie too! 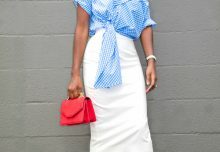 @stylepantry Love how you’re evoking Marlene Dietrich in a modern way. Love the shoes!!! #cute outfit. I wear suspenders some times myself. I live in the Bahamas, and some acts of fashion, some persons aren’t ready for. But, I’m a trendsetter.